This balm-like gloss is very smooth and not sticky. It glids on nice from the tube as well as leaves my lips nice and hydrated. The big plus to this for me, however, was the smell! I absolutely love honey scented products! This scent reminded me of the Burt's Bees Honey chapstick which i'm obsessed over and the fact that this balm had that smell as well as honey taste, it just made me more happy with my purchase. 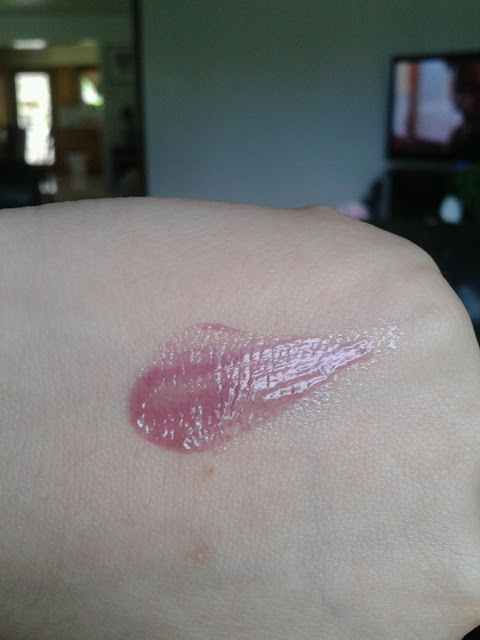 On the swatch it looks quite pigmented, but on my lips, it goes on more clear. If I layer on more, the color tends to show up more: It does leave a nice shine on my lips I'd have to say. I don't use this product as often as I'd like to, but when I do, I can't stop smelling it! good blog! 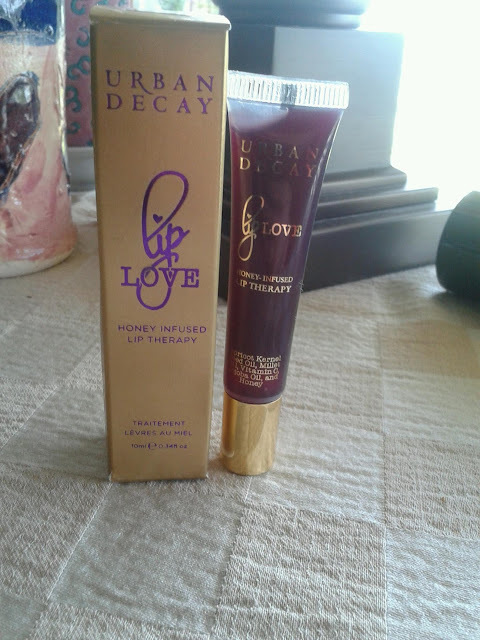 I never tried the Urban Decay lip products, but they do have very good eye primer!